The ATM’s head of policy and strategy wants his 7-hour lead acknowledged. Former Afroworld View boss turned head of policy and strategy at the African Transformation Movement (ATM) has called out ANC elections head Fikile Mbalula for what he perceives as plagiarism. 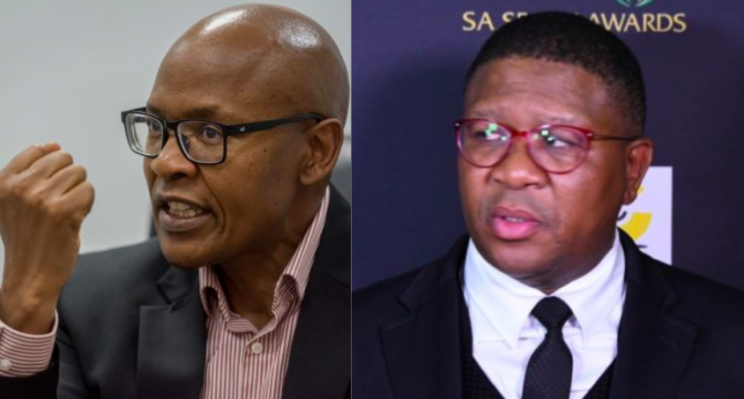 Shortly after the video of Mmusi Maimane getting his stats mixed up went viral, both Manyi and Mbalula decided to join in on the fun of making fun of Maimane. Manyi later took to Twitter to call Mbalula out for tweeting the exact same statement seven hours later in response to a different tweet. Your sentence is 100% like mine which I tweeted 7hrs ahead of you. The often vocal ANC elections head seems to have opted out of taking Manyi on as he has not responded to the tweet, opting instead to publicise his party’s campaign efforts on his timeline. Manyi has, however, continued trying to engage Mbalula to no avail.